Here are my web designs for my most recent web piece; in which I have chosen to advertise the 'Diana' camera. The home page allows you to upload your own photograph and edit it to look like a Diana film picture and share it on social network sites. It also links you to download the ipod application version of this photograph editor. 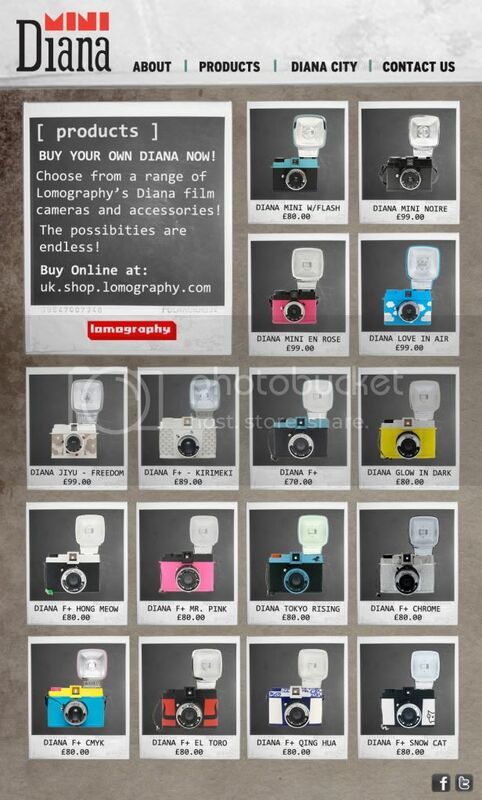 On the products page it shows you all of the Diana cameras, prices and where to buy them. 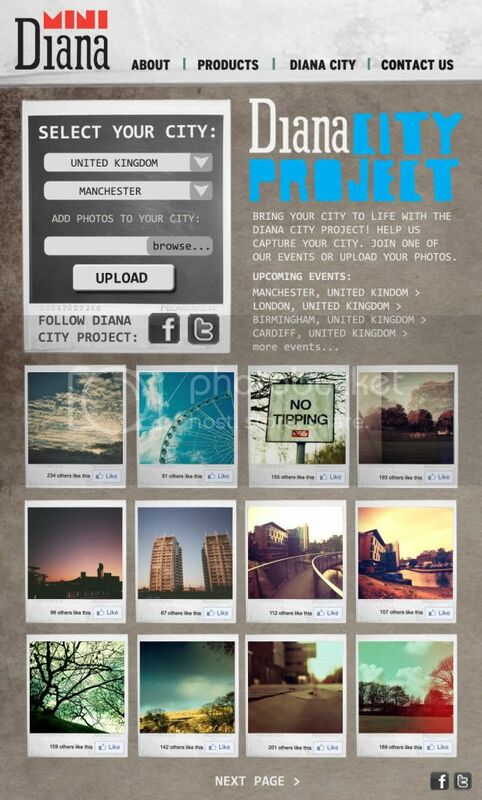 The final page I have designed is the 'Diana City Project' page, which makes this project more interactive. This would involve events where Diana users would meet up and capture their city and then upload their photographs to the site. It would take place in all countries and all the main cities to get more people interested in the product. Event dates would be listed on the site but then linked to Facebook Event pages. 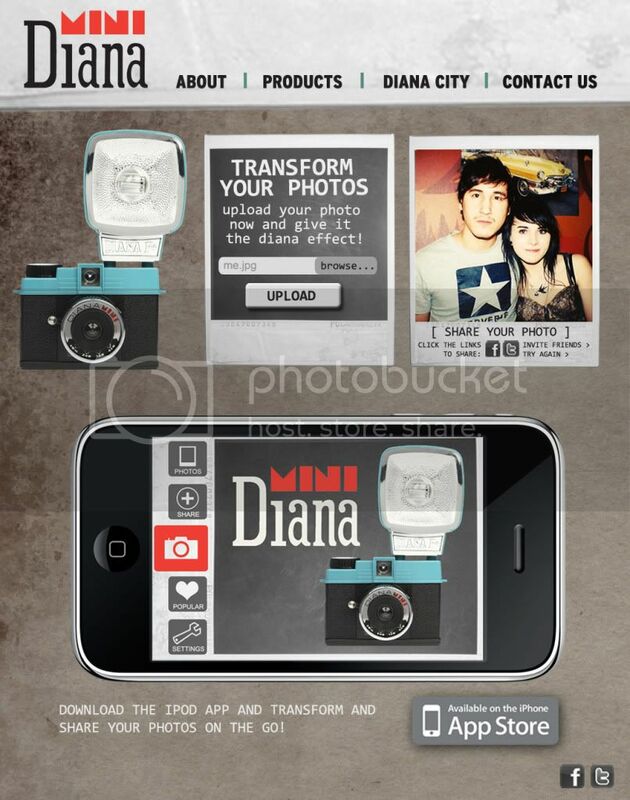 The project and website also has links to social networking sites allowing the user to follow the project/ Diana cameras.